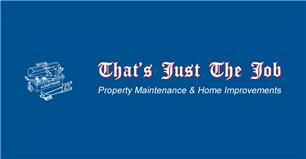 That's Just The Job - Home Improvements, Painter/Decorator based in Stratton, Dorset. I’m a handyman ready to help with those jobs you haven’t got around to yet or which are just outside your expertise. I can offer a full range of everyday property maintenance and home improvement tasks, such as Painting and Decorating, Tiling, Laminate Flooring, Carpentry and Joinery, Plumbing, Gardening, Fencing, Patio and Driveway Cleaning, Sheds, Water Features and Flat Pack Assembly, . At That's Just The Job, I treat your home as if it were my own and with the utmost respect. I pride myself on being clean and efficient and providing a great finish at reasonable rates.